This was a project I worked on with my sister Monica at Craftynest. She was working on a makeover project for her place; I helped her make some of the changes. This is one of the projects I built for her. 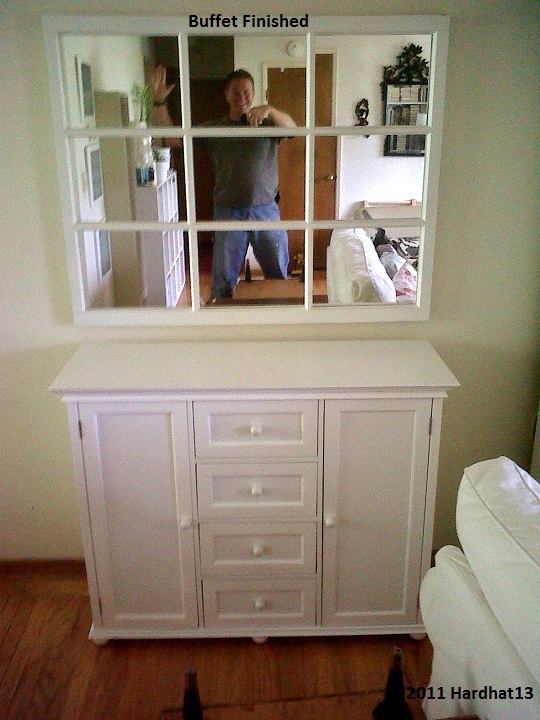 The lower buffet was a cabinet I picked up from someone that I helped move. 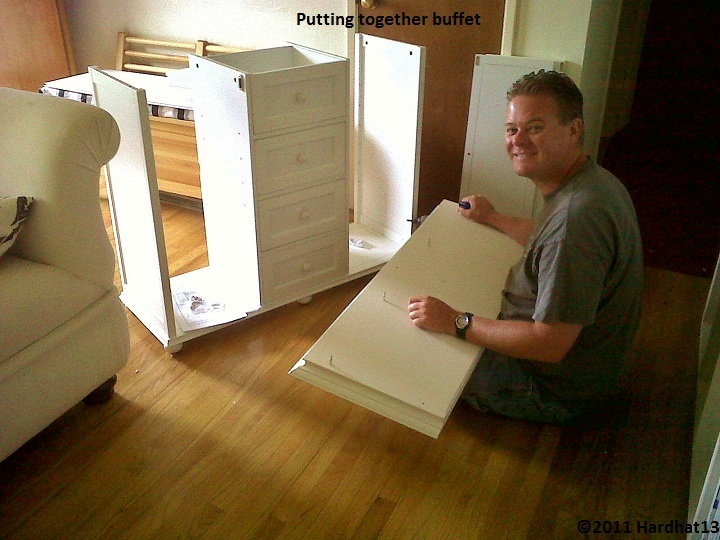 She wanted me to take the buffet table to the dump because it was damaged when it was shipped. 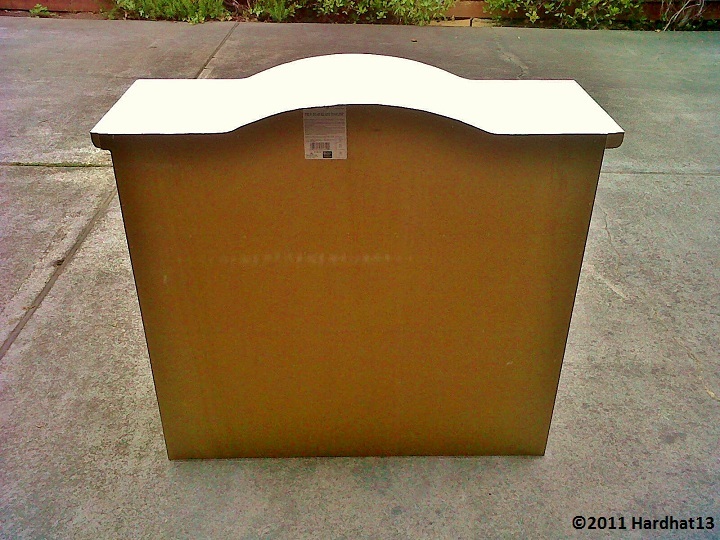 The buffet table turned out to be from the Home Decorators Collection. As you can see, some assembly required. 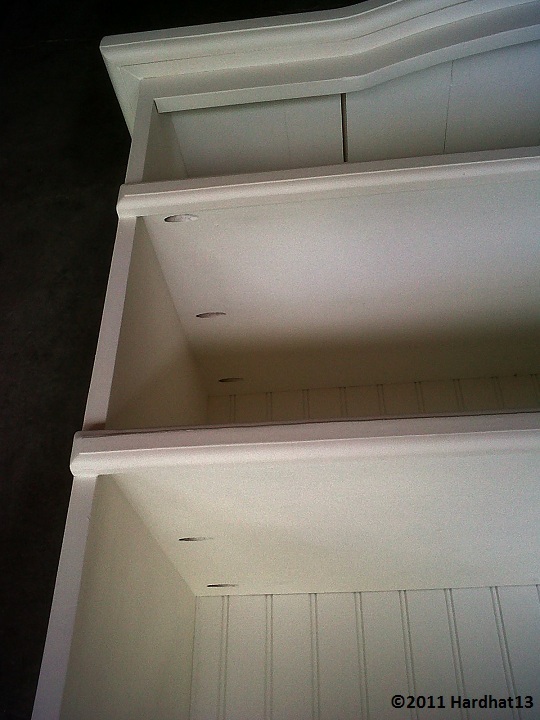 The cabinet was in good condition except the top had spit apart. 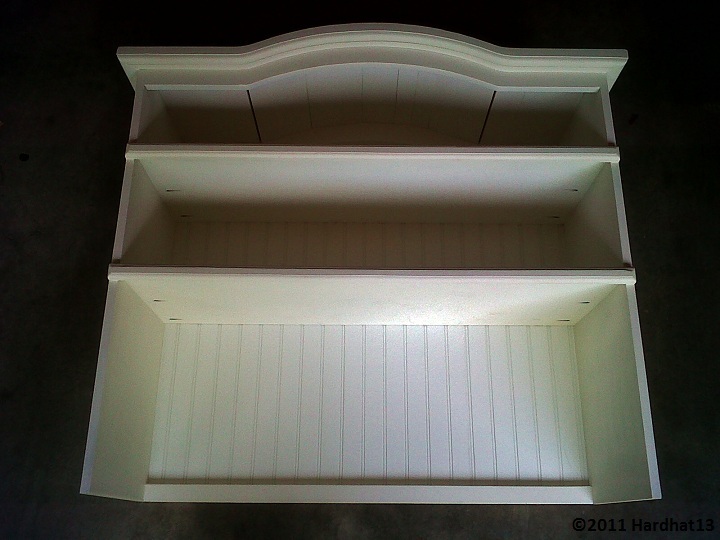 I fixed the top by clamping it together and touching up the paint. The top china hutch was more complicated. 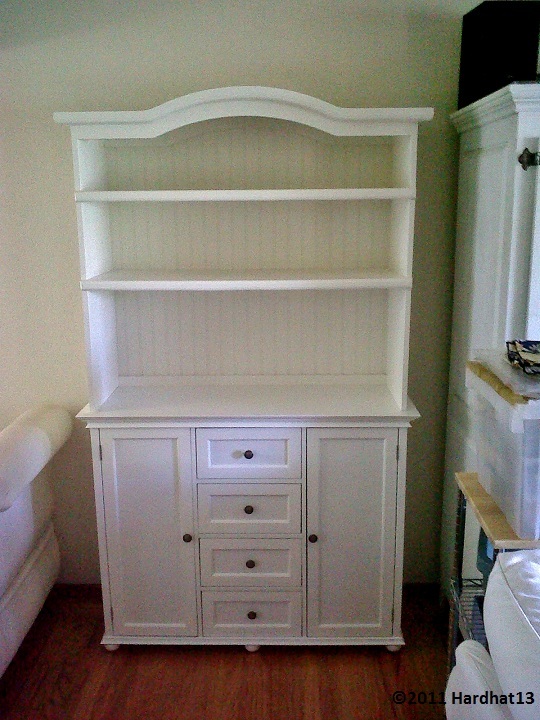 This was the first china hutch I’d ever built. She wanted the top curve to match the rest of her cabinets in the room. 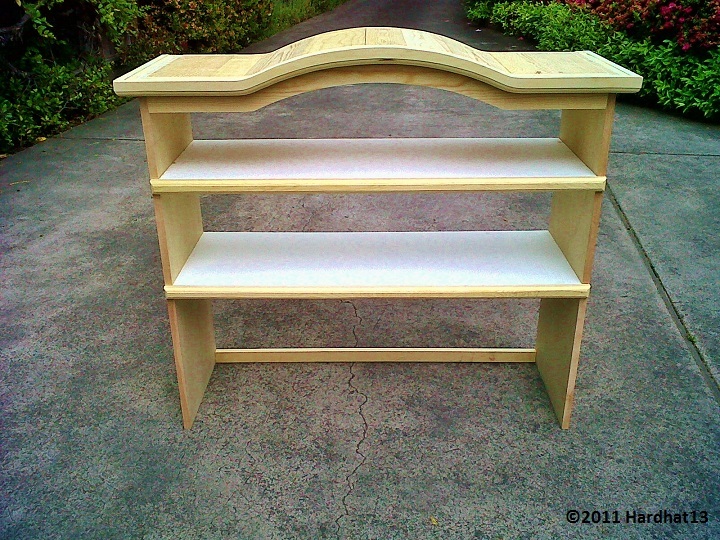 The shelves were specifically designed to hold the serve-ware she owned. The front detail of the curve was a combination of stacking layers of wood and different router bits to create the design. I then used a sheet of wainscoting for the back and a flush cut router bit to curve it to the detail. The shelves were mounted using my Kreg Jig. 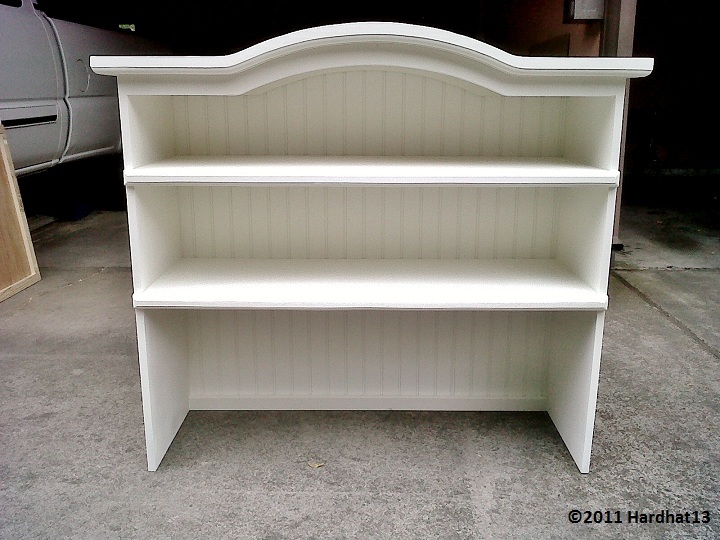 This gave the shelves more strength and the look I wanted without having the screws or nails coming in from the sides. They have plugs that can be installed into the holes but I decided to leave them exposed. Once the fabrication was completed I sprayed it first with primer, then paint. I used my Wagner Sprayer for a nice and smooth finish. The project was complete. All that was left was to set the china hutch on top of the buffet and have her place the serve-ware in the designated locations. 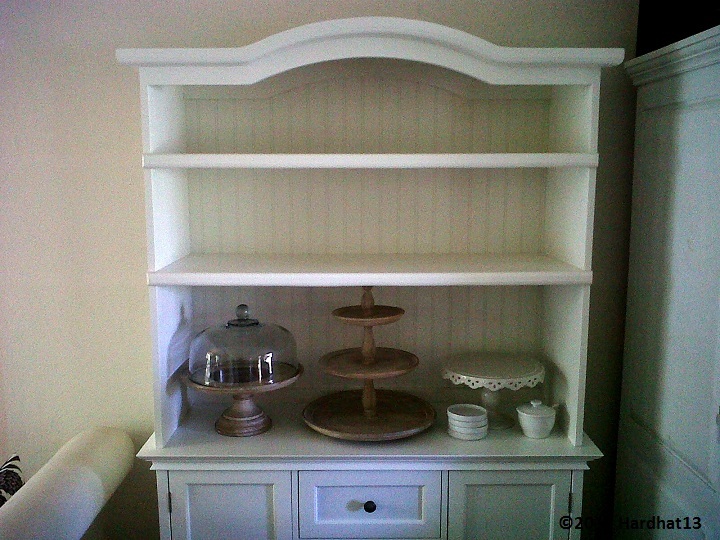 This was a fun learning experience not only to build my first China Hutch, but to work with my sister again. You can find more pictures and information about this project on her website at www,craftynest.com. 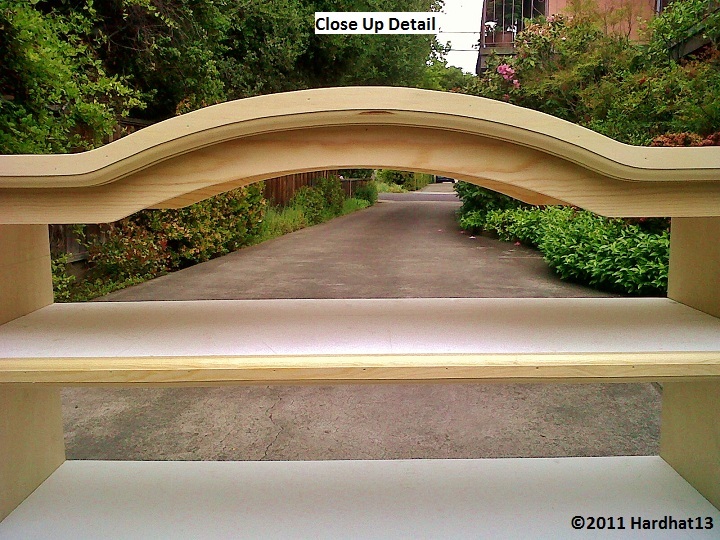 A more detailed view of why the curve at the top was necessary to match existing cabinets is located here. say on the topic of this post, in my view its actually awesome in support of me.